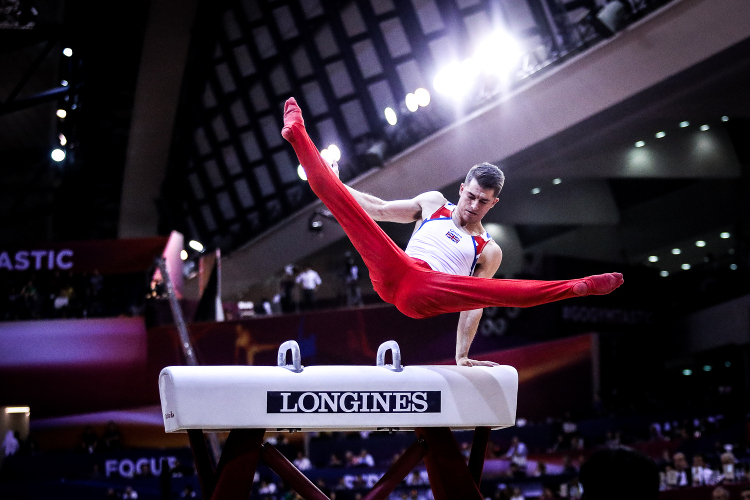 Great Britain’s men’s team – Brinn Bevan, Max Whitlock MBE, James Hall, Dom Cunningham and Joe Fraser – put in an excellent performance in the artistic World Championships team final to finish in 5th place. 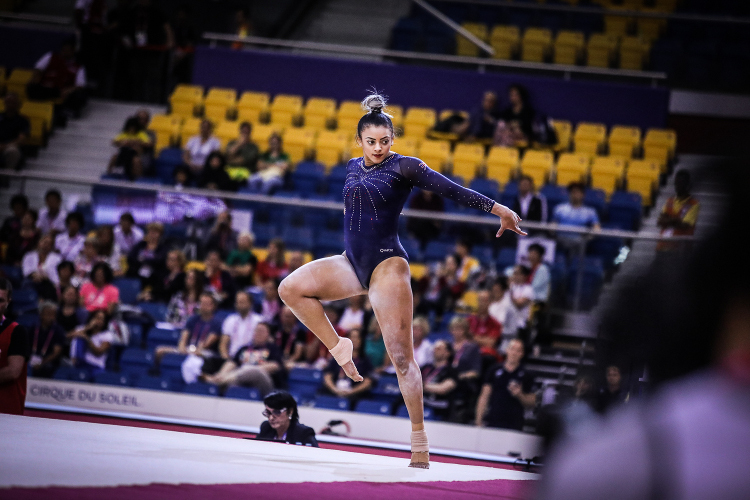 The final called for three gymnasts to compete on each of the six apparatus with every score counting towards the team total, adding pressure to every single routine. Each member of the British line up produced world class routines but unfortunately there were also costly mistakes that meant they couldn’t push for a medal place against some outstanding opposition. The team title went to China (256.634), with Russia (256.585) in silver and Japan in bronze (253.744); Britain scoring 248.628. Brinn Bevan, Joe Fraser and James Hall lead off the team on rings with confidence, scores of 13.8, 13.866 and 14.1 bettering our qualifying totals. On vault James scored 14.400, with vault finalist Dom Cunningham showing his class with a high difficulty pass scoring 14.700. Brinn Bevan followed up with a fist pump on landing his 14.800 vault continuing the excellent start for the team. 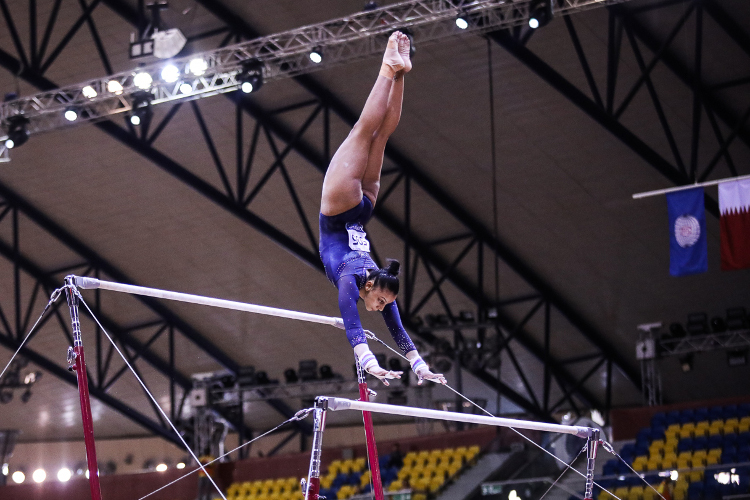 After three apparatus of six the British team sat in third in the rankings. On high bar Joe Fraser started off with a determined performance scoring 13.466 to match his qualifying routine. 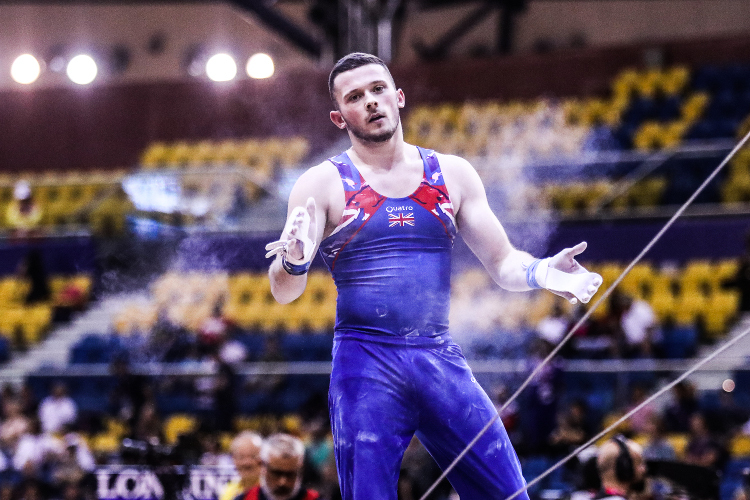 Brinn Bevan produced two superb release and catch moves but then lost grip of the high bar and fell, he did very well to take time to compose himself and complete the routine for 11.966. Calm under pressure; James Hall then delivered a superb high bar demonstration for 13.633 points. On floor Brinn showed great character, attacking his routine with confidence for a great score of 14.033. Olympic champion Max Whitlock MBE followed up with his trademark twisting tumbles scoring a huge 14.400 points for the team. 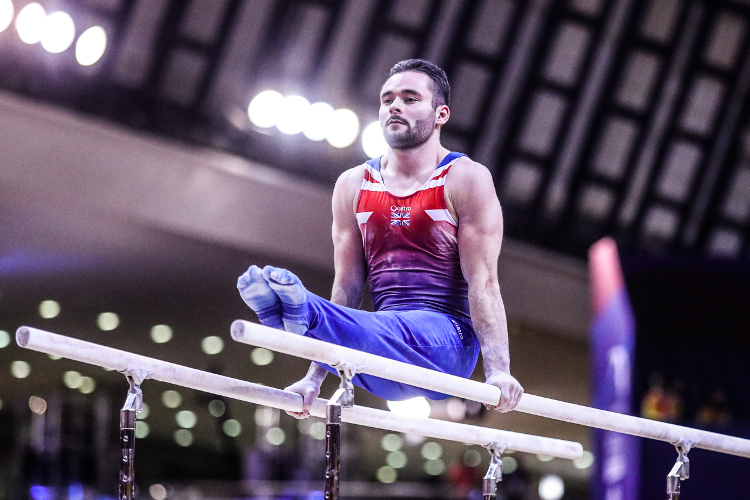 European floor champion Dom Cunningham then showed his class with very well controlled tumbling for another great score of 14.166 to complete a very positive round for the British team. 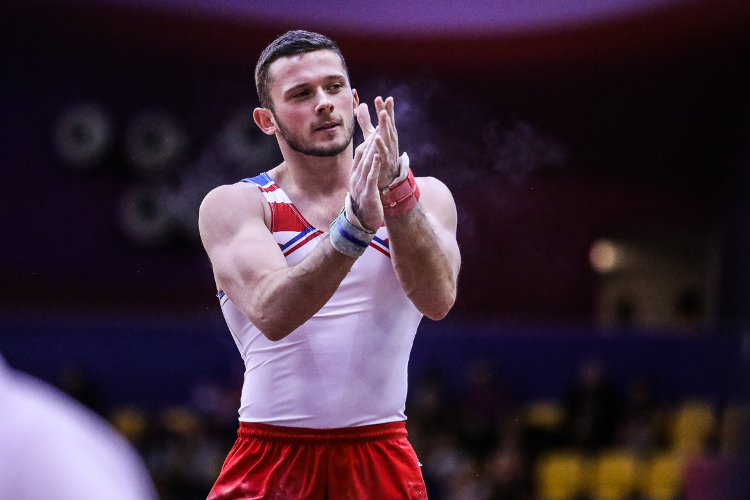 James Hall counted a fall on pommel horse as he couldn’t quite control his form, he finished his routine for a score of 11.966. 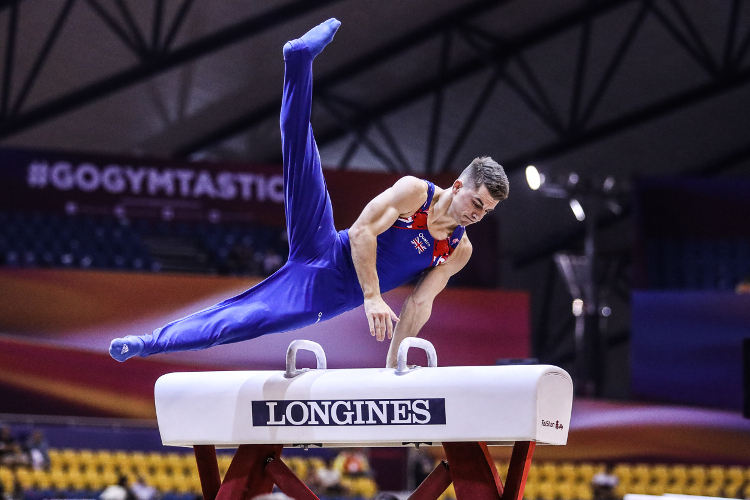 Joe Fraser produced a really nicely controlled routine for 13.300 then Max Whitlock showed his superb skills with his second world class pommel routine of the week scoring a huge 15.233. Tomorrow is the women’s team final on BBC Two from 1pm, Britain’s women just missed out on a final qualifying in 9th.